Rachel Ashwell Paradise Floral Bedding - Swatches may be available. Rachel Ashwell's Paradise Floral Bedding blooms with charm and vintage inspiration for a refined, lived-in ambience. Crafted in comfortable and durable natural 100% Linen. Machine washable. 100% Cotton Poplin with a lovely relaxed ruffle. 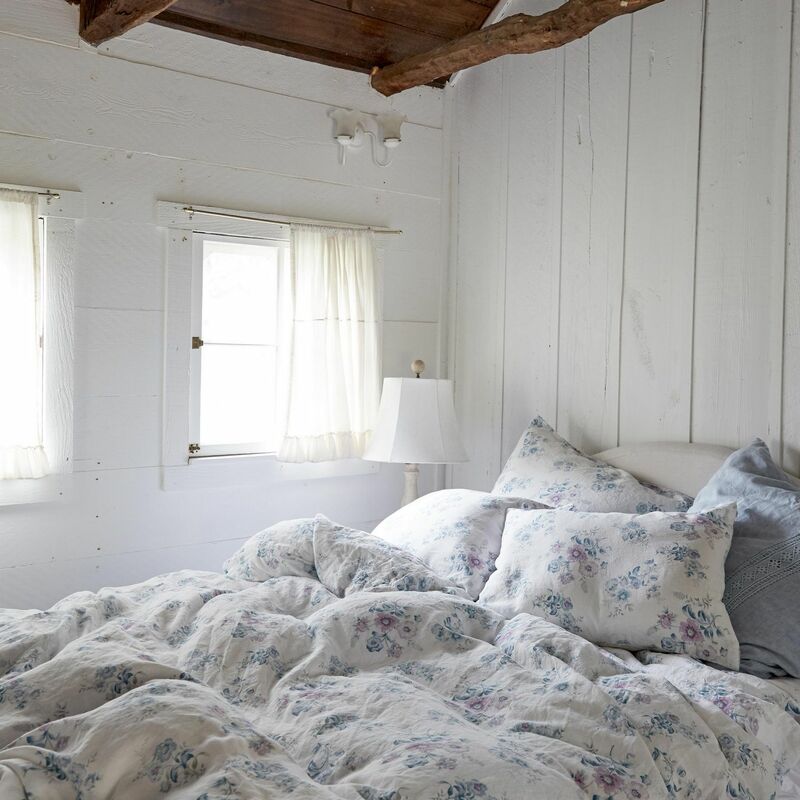 Rachel Ashwell's Paradise Floral Duvet Cover blooms with charm and vintage inspiration for a refined, lived-in ambience. Crafted in comfortable and durable natural linen, this duvet cover features an all-over print of blue and purple flowers atop a white background, and effortlessly slips over a comforter insert through a zippered seam. Includes one duvet cover, in Lilac/Blue, and available in sizes Twin, Full/Queen, and King. Part of the Rachel Ashwell Paradise Floral Collection. The Rachel Ashwell Paradise Floral Pillow Case offers a pair of all-linen covers, each with a bold all-over pattern of blue and purple flowers. Soft, durable, and pretty, these cases also feature a hidden side zipper for easy access. Each set includes two pillow cases (pillows not included), available in Standard (21"W x 27") or King (21"W x 36"L) sizes.